Linux is the name usually given to any Unix-like computer operating system that uses the Linux kernel. Linux is one of the most prominent examples of free software and open source development: typically all underlying source code can be freely modified, used, and redistributed by anyone. The name “Linux” comes from the Linux kernel started in 1991 by Linus Torvalds. The system’s utilities and libraries usually come from the GNU operating system, announced in 1983 by Richard Stallman. The GNU contribution is the basis for the alternative name GNU/Linux. Predominantly known for its use in servers, Linux is supported by corporations such as Dell, Hewlett-Packard, IBM, Novell, Oracle Corporation, Red Hat, and Sun Microsystems. It is used as an operating system for a wide variety of computer hardware, including desktop computers, supercomputers, and embedded devices such as E-book readers, video game systems (PlayStation 2, PlayStation 3 and XBox, mobile phones and routers (wikipeda). · Otherwise the files may get corrupted! · There is no Recycle Bin, think twice before you’ll perform delete action! rwxr-xr-x File: owner has read, write, execute permissions, group: only read and execute permissions, others: only read and execute permissions. – The cd command lets you switch directories. find /dir – name ‘some*’ Find file with name starting some with some starting from /dir. Use the quotes! rm logfile.log Delete a file. rm –rf /dir_1 Deletes all files and directories recursively in directory /dir_1 including. (Attention! Never perform something like this: rm –rf / ). cd /ho[press tab]/use[press tab] – observe that the right existing path will be auto filled up – very handy! use it! Basic operating system and maintenance tools. The content of this file system should be sufficient to start up the system and perform emergency maintenance and repairs if they were necessary. 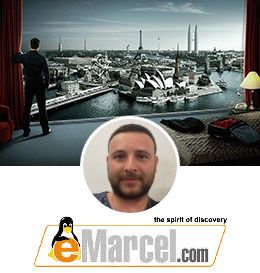 –executables (binaries) needed during bootup that might be used by normal users. –executables (system binaries) not intended for use by general users (users may still use them, but this directory is not on their PATH). –system-wide configuration files for your operating system. 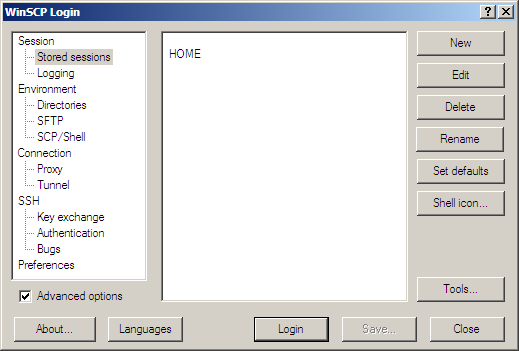 –the home directory of the system administrator (called super-user or root). –device files. Devices appear on Linux as files so that hardware is abstracted and it is easy to write to them or read from them. –mount points for removable media (floppy, cdrom, zip drive), partitions of other operating systems (e.g. MS Windows), network shares, and anything else that is mounted on the file system temporarily. It normally contains a separate subdirectory for each mounting share. The contents of these drives/shares appear in these subdirectories–there are no drive letters on Linux. –shared libraries for programs that reside on the root filesystem and kernel modules. –files used by the bootstrap loader (LILO or GRUB), the thing that loads first when the computer is booted and perhaps gives you the option of which operating system to boot, if you have more than one OS on your computer). It typically also contains the Linux kernel (compressed, file vmlinuz), but this can be stored somewhere else, only if LILO/GRUB is configured to know where it is. –optional large applications, for example kde under RedHat 5.2 (under RedHat 6.0, kde is distributed as any other X-windows distribution, main executables are in the /usr/bin directory). –temporary files. This directory may clean up automatically. –files recovered during the filesystem repair. All commands, libraries, documentation, and other files that do not change during normal operation. This will also contain major applications that come with your Linux distribution, for example Netscape. Files that change: spool directories, log files, lock files, temporary files, and formatted (on use) manual pages. Entirely illusionary files. They do not really exist on the disk and do not take up any space there (although ls -l will show their size). When viewing them, you really access information stored in the memory. It is used to access information about the system.